Centrally located, our Woden venue offers a range of great facilities. We're open from 9am to 4am, 7 days a week. We have two affordable restaurants, the Golden Grille and our popular Henry's Family Restaurant. There's also a café serving barista made coffee, snacks and tasty treats throughout the day and night. For families we offer two fantastic children's play areas with free face painting for the kids on Friday and Saturday nights. There is plenty of secure, free undercover parking. Our elegant Events Centre is one of Canberra's best conference and event venues, and can seat up to 700 for a lunch or dinner event and 1000 for a cocktail function. We also have many smaller more intimate spaces for your private event, meeting or celebration. The Corinna Ballroom and Top of The Cross room also host a range of fabulous shows each year. From rock and roll, country greats, world class tribute acts and kids shows, we cater for a wide range of ages and tastes, so make sure you check out the What's On! section of our site to see the latest show schedule. 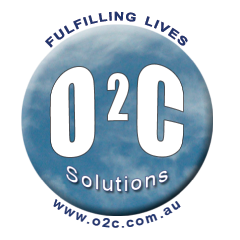 We are an innovative, imaginative and creative Canberra based company specialising in capacity building within organisations. In delivering organisational capacity, we start by building effective and collaborative partnerships between ourselves and our clients. Our principal people are engaged with you throughout the engagement to ensure you experience quality and expertise in the delivery of the evidence based outcome you want. We have the time, expertise and capability to assist you build your organisation through customised programs, policy and procedures development and events management. We believe, as Aldous Huxley said, "Experience is not what happens to you. It is what you do with what happens to you". In this regard, we believe our role is to establish and foster an environment for people and organisations to understand and act on their experiences. We have worked with clients to deliver evidence based outcomes focussed on productivity, resilience, team work, leadership and establishing a safety culture. We combine cutting edge techniques and activities such as appreciative inquiry, positive psychology, and world café to stimulate the thought processes and motivate relevant organisational growth and transformation. 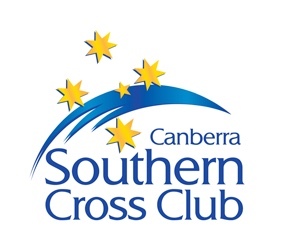 We contribute to our community in many ways through engagement with the RSPCA, Marymead, Weston Creek soccer, Masters AFL, the Big Boys Toys Expo Canberra and the Looking For Gamers (LFG) suite of events. Fairlane Canberra was established by Eric and Luzia Doeberl and is now owned and run by his daughter Rosemarie. Fairlane provides property development and property management solutions in the Canberra Real Estate market. Fairlane are proud to offer sponsorship towards conditions for local and overseas Grand Masters. This support ensures that the Premier tournament continues to allow the top Australia players to experience strong competition without leaving Australia. Aptly named The Woden Hotel, it's located perfectly within Woden Town Centre's central business, shopping and dining districts. Access Canberra's major attractions with ease, as you're only 15 minutes' drive towards Canberra City, the Parliamentary Triangle, and Canberra's International Airport. With 57 rooms and 5 different room types to choose from, The Woden Hotel combines quality, affordability and comfort. 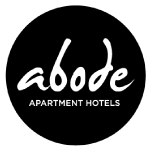 Book direct and get complimentary parking and WIFI. The Looking For Gamers team are board game enthusiasts, and our goal is to build community through gameplay and foster our love of games in others. We organise annual events in Sydney and Canberra where gamers of all ages and stripes are invited to play games, participate in tournaments, and make new connections. We also operate a board game shop (LFG Retail) in Canberra where -in addition to retail offerings and our extensive board game library- we run several in-house community offerings including school holiday programs for grades 3 and up, RPG sessions for adults and kids, ladies' nights, and open gaming. Mr Baldev Bedi, a local resident of Canberra, is a regular supporter of the Cup. He continues to sponsor the Australian Junior Prizes for Best Australian Male Junior in the Premier (Bedi Cup) and the Best Australian Female Junior in the Minor (Pooja Cup). Mr Shaun Press is sponsoring the Best Female Prize in the Premier Division. Mr Jim Flood is sponsoring the Best Female Prize in the Major Division. The ACT Junior Chess League is sponsoring the Best Female Prize in the U1200s Division. Australian Chess Enterprises is Australia's premier chess supplier. Our main website is at www.chessaustralia.com.au. ACE is the publisher of the Australasian Chess Magazine. We offer a wide range of chess equipment, books, DVDs and software, including Giant Outdoor Sets. We are organisers of many of Australia's top class chess events, including the Myer Tan Australian Grand Prix and the Sydney International Open. Our showroom and offices are in Riverstone in North-West Sydney, where we have been established since 1991. When you bring your design and print work to Kwik Kopy Phillip you will be assigned your own Account Manager. They will take the time to get to know your business, discuss your requirements and act as a central contact point for managing your jobs. Your Account Manager will be able to discuss technical issues directly with the Kwik Kopy printer on your behalf and work with Kwik Kopy designers to really lift your communications and brand image. Your Account Manager can also show you how to track the history of your jobs and your account online. For more information on our online services go to www.phillip.kwikkopy.com.au. Sydney Academy of Chess offers a variety of chess related services to schools. Our primary service is providing weekly chess lessons in schools - before and after school, at lunchtime and during school hours as part of the curriculum. We also run chess tournaments and sell chess related goods. 50 Moves Magazine is Australia's new e-magazine written by our country's leading players. Our interviews, tournament reports and stories are sure to keep you up-to-date with chess news and entertained and our experts present regular columns on openings, studies and endgames to help you improve your game. GM Hrant Melkumyan "A magazine that all chess players should have. Highly recommended."